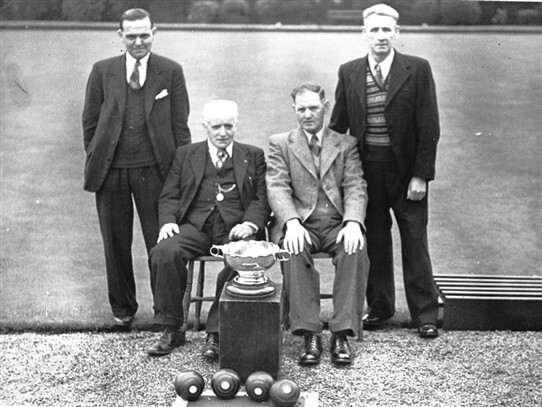 Some great photos of Addiewell bowlers - do you recognise any of them? Addiewell Bowling Club members, maybe in the 1930s or 1940s. 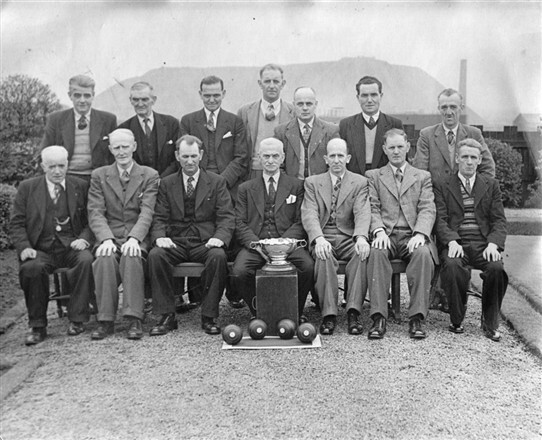 The first photo is probably of the club committee members, with a trophy. The second photo probably shows the winning team, with the same trophy. If you know any of the bowlers, add their names. And where was the first photo taken? Is it Addiewell Bing in the background? Or maybe Deans Bing at Livingston Station? Mrs Mary Wilson. All rights reserved. This page was added by Sybil Cavanagh on 28/11/2012. Yes, Peter Collins, also my granda! I'm sure the picture was taken at Addiewell.